💙 ALLEN has been hand raised and bottle fed from birth. He's tiny in size but big in attitude. He loves to play and run around crazy with his sister DAWN. 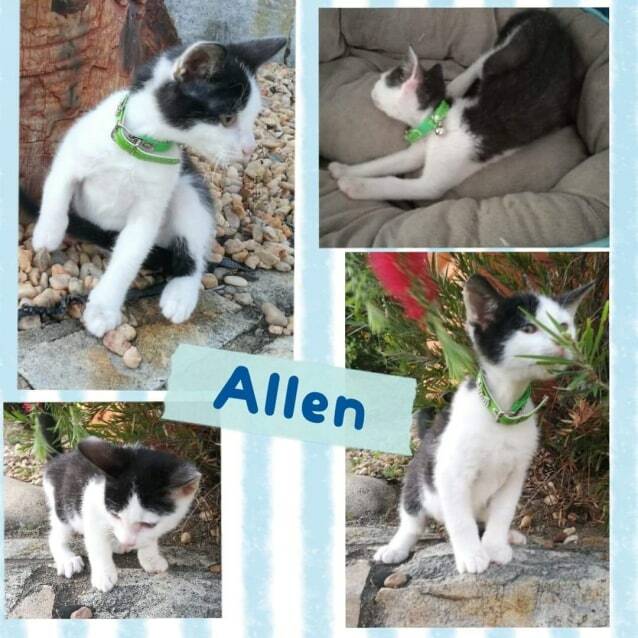 ALLEN would love a family with children and someone to be around, he doesn't like to be home alone for long periods of time at his young age. ALLEN has been well handled by children and gets on great with other cats. He is fully litter trained and ready for his new forever home.